The variety and choice of shaving brushes available to the wet shaver is overwhelming, with different bristle types, different handles, different sizes of bristle knot and more. At The Executive Shaving Company we have created this guide to help you navigate through the different types and grades of shaving brushes, hopefully, it will help you choose the right brush for you to get the best possible shave. 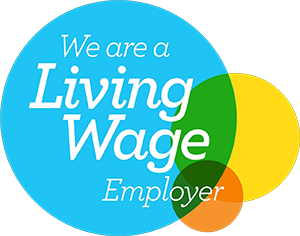 If you need any further advice or help on this subject please 'phone us on 0141 880 3040, or via our free online Ask The Expert Service. Silvertip badger hair, or Super Badger hair, with natural untrimmed silver tips, is the highest quality available in shaving brushes. The pure colouring, enhanced by careful hand grading and filling, comes from an expert selection of only the finest hairs from a small area on the back of the neck of the animal. The shape of silvertip filled brushes is created by hand and is not trimmed to create the overall badger bundle shape. The hair is ultra-soft, very flexible yet very durable guaranteeing wet shavers many years of luxurious shaving. Silvertip or Super Badger shaving brushes are good for lathering up both shaving creams and shaving soaps and are soft and gentle on the skin, which makes them ideal if you suffer from post-shave sensitive skin. This description is for brushes that don't use animal hair for the bristles. The synthetic hair brushes we sell are manufactured to the same high standards as badger shaving brushes. These synthetic brushes are vegan, no animal died to provide the hair. These brushes are even softer on the face than a Silvertip badger hair brush. The synthetic hair shaving brushes we stock, in many ways outperform badger brushes, they don't smell like a damp dog, they don't suffer from hair shedding, they are better for travel (synthetic brushes dry almost immediately after use) and they are more durable than badger brushes. Men with sensitive skin should use a synthetic brush as animal hairs can irritate some skin types. Additionally, synthetic brushes are in the main, much cheaper than badger brushes. The only downside being synthetic brushes don't retain heat as a badger brush does. That aside there are no negatives. In 2018 our top-selling shaving brush was our black coloured Medium Jock Synthetic. At only £24.50 it is remarkable value for money, the handle is lathe turned and polished, the hairs are super-soft on the face while the density of hairs delivers good backbone for effective lathering up. The tide has turned, I can only see more rapid growth for synthetic brushes at the expense of badger brush sales. It is a Medium Jock Black Synthetic brush that features in the image. This is a firmer quality of badger hair. It is typically regarded as a mid-quality type of brush. The white/brown colour in the better quality Best grade brushes is similar to Silvertip. The hair is stiff to the touch and is very popular with wet shavers who use their brush to exfoliate their skin at the same time as preparing it for shaving. A best badger hair shaving brush is ideal if you like to use shaving soaps, as the stiffer bristles create a thicker and richer lather from the shaving soap. Best badger brushes tend to be good value for money. A Pure Badger shaving brush shows less colour differential along the length of the hair than Silvertip or Best grades. Pure badger hair shaving brushes feel rougher on the skin compared to Silvertips or Best. If you are on a budget, Pure may be for you. Boar hair is much thicker, coarser and stiffer than even Pure Badger hair. A boar hair shaving brush can take some time to break in as the hairs can be very stiff. They do, however, make excellent brushes for using with hard shaving soaps, which can require some effort to create a good shaving lather. The stiffer bristles exfoliate the skin and raise the hairs of the beard up, ready for shaving. They are prone to smell and they may lose their shape quickly. These tend to be lower priced brushes due to the knot of hair being a mix of badger, Pure grade and boar hair. The Mixed grade may in some cases be a mix of Best grade and Pure grade. The knots are usually stiffer than standard shaving brushes which will appeal to men who like the exfoliation benefits this type of brush delivers. We stock a large selection of the finest travel shaving brushes available in traditional faux ivory, black or matte aluminium. 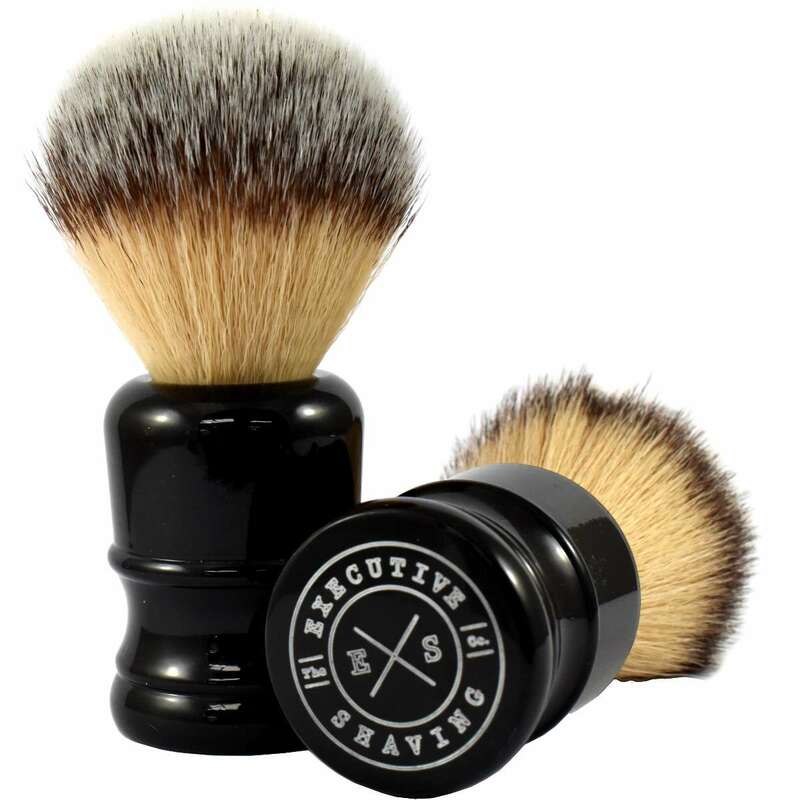 In some cases, the handle doubles up as a protective tube once the shaving brush is disassembled, allowing you to enjoy the ultimate shaving experience even when on your travels. Others are smaller versions of standard size shaving brushes that fit into a handy tube when you're on your travels. Synthetic bristle brushes are much better suited for travel than badger as they dry almost immediately after use. Traditionally real ivory or wood was used for handles. These days, shaving brush handles come in a variety of materials. Most are a synthetic resin, which is both waterproof and resilient, so will last a lifetime. More expensive brushes use materials such as real horn, desert ironwood, bog oak, olivewood and even carbon fibre to create stunning handles.